Can your home school survive developing a thriving home business? We believe it can! Here is a mix of encouragement and tips from veteran homeschooling mom Susan Critelli on successfully mixing Home Business with home schooling. "Watch therefore, for ye know neither the Day nor the Hour wherein the Son of Man Cometh"
Webster's defines entrepreneur: "one who organizes, operates, and assumes the risk in a business venture." [Merriam-Webster's Collegiate Dictionary, Tenth ed. (Springfield, Massachusetts, 1993), "entrepreneur."] Entrepreneurs can smell an opportunity a mile away. However, what is often their greatest asset can become their greatest downfall. The road is littered with entrepreneurs who have been successful in one venture only to fail in countless others. Is this the natural way for an entrepreneur, or is there a better way? King David was an entrepreneur. He grew up as a shepherd boy and later became Israel's greatest warrior. He responded to opportunities, like the time when no one would fight Goliath. He saw this as an opportunity. He ultimately became king of Israel and faced many opportunities placed before him. David learned an important lesson somewhere along the way that each of us as workplace believers should learn. As an entrepreneur the greatest danger is engaging ourselves in activities in which God never intended us to be involved. This is poor stewardship of what God has entrusted to us. When the Philistines attacked David, he always inquired of God as to if and when he was to counterattack. When he was attacked a second time on one occasion, David inquired of God as to whether he was to attack yet. This time God said yes, but with a condition, "Wait until you hear the sound of marching in the balsam trees" (see 2 Sam. 5:24). This story tells us that David had learned an important lesson about staying vertical in his relationship with God at all times. David had learned the important principle of staying focused on what God wanted for him, not what seemed logical. He was an opportunist, but only through the filter of the Holy Spirit in his life. How do you approach opportunities? Do you consider the merits of the opportunity only? Or do you inquire of God as to whether He desires you to pursue? It may be a wonderful opportunity, but it may not be God's will for you to be involved. Ask the Holy Spirit to direct you as you seek to use the skills He has given you. If you have been longing to start a business online you may be coming across terms you've never heard before. You may also have found the opportunities available are overwhelming. Where do you begin? Affiliate programs may be the easiest online business to start running. Why? With any online business you must have a product or service to sell. First you must create this product or service and then you must be able to fill orders. Selling your own product or service also means creating a website, learning how to write ad copy, setting up a marketing plan, being able to accept payments online and obviously doing the work. If you're selling a physical product then you will need to make or buy the item, package it and pay for shipping costs. If you provide a service than you will likely have to start by doing free jobs to build your credibility and then when you are charging for your service you are still limited by how much work you can actually handle. Affiliate programs are a great way to get started in an online business. In fact there are even some 'Super Affiliates' who are making fabulous incomes from affiliate programs. So, what ARE affiliate programs? Affiliate programs allow you to sell another company's service or product and make a commission on every sale or lead. You do not even need to build a website or handle the transaction. Your job is to drive traffic (customers) to your affiliate link. An affiliate link is a special URL code that will identify customers coming to the company's site from your advertising. It will likely be the website address with a code attached to the end. Some affiliate programs also have tiers. That means if someone who is interested in SELLING the product comes through your link and signs up you will also get a small percentage of THEIR earnings. HOW DO I CHOOSE A PROGRAM? You should research the popularity of some of your interests. Try to determine if people are buying that product or service online. There are many sources for finding that information including free ones such as the Overture keyword tool. When you have found an area that is popular then type the subject along with 'affiliate program' into your search engine and see which programs have services or products for that area. You can also use an affiliate program directory. When you have found a program that looks interesting you should read the terms of the program. Make sure that payouts are not based on a high commission earning or you may never see your money. Also try to choose programs with high commission rates. Often you will find ebooks and downloadable software has the highest rates as there is no physical product to make or ship. If you are satisfied with the terms then you need to sign up - usually a simple process. The reason affiliate programs are so great for beginners is that you only need to focus on marketing - not making - your product. Many affiliate programs have information on how to market and give you tools such as banners, product feeds and more. You can also look for other information on marketing including writing articles, creating pay-per-click campaigns, commenting in online forums etc. As you gain experience marketing you will make adjustments to your selling and start creating a wonderful income! I have been an affilliate of SFI since 2001, and believe that it has the best overall marketing courses and information available for the beginning affiliate marketer. I am often surprised to realize how much I know about marketing that I learned from SFI. You can sign up for free and check it out. Be sure and check out the International Association of Home Business Entrepreneurs while you are there. Where Can I find Teaching Materials For Homeschooling? How do you successfully determine what method of teaching to use, what lessons to teach and at what speed? Having decided to educate your kids at home for the purpose of giving your children the needed attention they require, do you still follow the school's standards of what subjects to cover and when? Trying to keep up with the rules and standards of the government schools often means hurrying your children through "the material" so you can say you kept up, or even were Ahead of them. If you have done this, you have probably forgotten why you decided to home school in the first place. Exploit the benefits of what homeschooling will permit you to accomplish and that is choosing your objectives and goals and setting the pace in relation to your children’s specific needs. By far, the biggest challenge that a homeschooling parent encounters is making a homeschooling schedule. While some make use of software programs, some parents write their notes in notebooks or in computer programs such as Microsoft Word; some plan the activities as the day goes and others do the planning ahead; there are some who do not make plans at all (not recommended!). It really depends your personality and the personality of your child. However, making a yearly plan of objectives consisting of goals which you have established for your child is most effective. This way you can match the needed materials with your goals. You can acquire homeschooling teaching materials on the internet, and it is important that you become well acquainted with the teaching materials so that you are organized and do not waste valuable learning time trying to find what you need. 1. Group materials for the whole school year by topic. 2. Sort out the teaching materials that will be used by you from the materials that will be used by your child. 3. Place the materials in such a way that it is accessible to the kids when they need to refer to it. 4. When organizing the educational materials for every subject, keep the primary alongside the supplemental materials, as well as make certain that extra materials, like additional readings and tools, are readily available when needed. 6. Take into account making a listing of educational materials that you have. This is useful especially when you are teaching two or more children as the list can keep track and organize the materials that you have through the years. How much teacher preparation will be required before the lessons? What is the expected time frame for each session? What type of performance is expected for the child? Do I have all supplemental materials that I need, such as the teacher's guide or student workbooks? If not, you will need to get them before the school year starts. Do supplemental materials, like the answer key and teacher's guide fit in and conform with it? Do the materials actually match your expectations? At times when you were not able to directly examine the materials, when you receive them, they are not what you really have expected. Return and replace the materials with what really matches your needs. The technology of today, especially the internet has made homeschooling curriculum and homeschooling supplies readily available to all individuals. With a lot of research one can surely find homeschooling educational software, lesson plans, curriculum, programs, educational games, activities, and a lot more! The internet is overflowing with information so searching for and looking for resources is not a problem at all. Also, there are a number of support groups and forums to ensure an effective homeschooling experience for you. From Cure for the Common Life by Max Lucado - "Decoding Your Kid's Code"
An orchestra conductor presented a package to her favorite cellist. 'Just because I appreciate your work,' she told her. An artist thanked a plumber for his neighborliness by giving him a present. And so the orange grower, the cellist, and the plumber unwrapped their gifts. The orange grower planted the seedling, anticipating oranges. After all, he grew oranges, so this must be an orange-tree-to-be. But the plant spread into bushy, clustered branches. The orange grower couldn't coax a single orange out of his grove. He sprinkled it with orange-tree fertilizer, sprayed it with orange-tree bug spray. He even poured orange juice on the soil. But, alas, no oranges. Tomatoes, yes. But oranges, no. He felt like a failure. The cellist empathized. She had expected a cello. She was somewhat correct. The package contained an accordion. She treated the accordion like a cello, setting the base on the floor and running her bow across the keys. Noise came forth, but no music. She was less than enthused. As was the plumber. He expected a gift of wrenches and hammers, but he was given a brush and palette. Puzzled, he set out to repair a leaky pipe with his new tools. But brushes don't open valves, and a palette won't tighten joints. He painted the plumbing and grumbled. The orange grower raised the tomatoes, but preferred oranges. The cellist made sounds, but not music. The plumber painted the pipe, but didn't fix it. Each assumed the gift would be what they knew rather what the giver gave. Each year God gives millions of parents a gift, a brand-new baby. They tend to expect oranges, cellos, and plumbing tools. Heaven tends to distribute tomatoes, accordions, and paint supplies. Moms and dads face a decision. Make our children in our images? Or release our children to follow their God-given identities? .The archer arches the weapon, setting his aim on a target. By the time your child is born, God has done the same. He has already "bent" your child in a certain direction. He hands you a preset bow that you secure until the day of release. Raise your child in the way "he should go." Read your child's God-designed itinerary. Don't see your child as a blank slate, awaiting your pen, but as a written book awaiting your study. In every child God places in our arms, there is a bent, a set of characteristics already established. The bent is fixed and determined before he is given over to our care. The child is not, in fact, a pliable piece of clay. He has been set; he has been bent. And the parents who want to train this child correctly will discover that bent! God prewired your infant. He scripted your toddler's strengths. He set your teen on a trajectory. God gave you an eighteen-year research project. Ask yourself, your spouse, and your friends: what sets this child apart? Childhood tendencies forecast adult abilities. Read them. Discern them. Affirm them. Cheerlead them. .Pine trees need different soil than oak trees. A cactus thrives in different conditions than a rosebush. What about the soil and the environment of your child? Some kids love to be noticed. Others prefer to hide in the crowd. Some relish deadlines. Others need ample preparation and help. Some do well taking tests. Others excel with the subject, but stumble through exams. .Don't characterize loners as aloof or crowd seekers as arrogant. They may be living out their story. You've been given a book with no title - read it! A CD with no cover - listen to it! An island with no owner - explore it! Resist the urge to label before you study. Attend carefully to the unique childhood of you child. .What gives your children satisfaction and pleasure? What makes them say, 'Yes!' Do they love the journey or the goal? Do they like to keep things straight or straighten things out? What thrills one person bothers another. The apostle Peter liked to keep the boat steady while Paul was prone to rock it. .Learn to love tomatoes, appreciate the sound of an accordion, take art supplies to the canvas, not the sink, and view each child as a book, not to be written, but to be read. .God doesn't give parents manuscripts to write, but codes to decode. Study your kids while you can. The greatest gift you can give your children is not your riches, but revealing to them their own." Don't Let Your Child Be a Kangaroo! Come with me to a delightful website with a movie that should be a wake up call to any parent with a child in school, or a child you are teaching at home. "The Animal School" will make you think about how your child's learning style and personality affect his future success, and make you RE-think what you mean when you talk about "success". Ellen Braun has a newsletter. Consider subscribing to "Raising Small Souls." If you are unable to view "Animal School" in its flash format, here is a link to the text only version. Home schooling, despite its popularity, is yet to have one singular standard for acceptability or validity. This means that as you go around the country, different states have different requirements for your home school to be duly recognized. The decision to home school your child isn’t to be taken lightly. However, once you’ve made your decision, it may be a good time to begin intensive research and inquiry into state requirements and other guidelines you have to take into consideration once you’ve made the decision. There are states like Texas, Illinois, Missouri, New Jersey or Oklahoma, among others, that do not require informing the state of any intention to home school your child. So technically, you may opt to start your preschooler on home schooling already or pull your child out of the formal educational system at your own will, should you decide that home schooling is for you. Other states, however, would require you to inform the state and your child’s school of your intention to begin home schooling. It is only in this way that the state can accredit your child’s grade level standing. Alongside this expression of intent and plan is the requirement of the state for you to submit exam scores, progress evaluation grades, and even your child’s attendance record. The state may also specify an amount of time that should be spent in this informal school studying the various subjects you intend to teach your child. The states with tightest home school regulations - such as Pennsylvania - set requirements of informing the state of your intent to home school your child. Alongside this expression of intent is the submission of the curriculum you intend to teach while home schooling. You may also be tested if you qualify as a parent-teacher when you home school your child. State-appointed officers may also visit your home to check if it is suitable for home schooling. Aside from these requirements, submission of periodic documents like exam scores, progress evaluation grades, and attendance records may be required of you as well. Given this volume of information that you must be familiar with when you decide that you want to give home schooling a try, where will you find the necessary information? Basically, your first and most primary source of information should always be your state or local government unit’s education office or authority. You can approach these agencies in two ways—either through the agency’s website or by visiting the physical location of the said government office. In order to save time and money, you should perhaps visit the website first. This is also most recommended as the primary course of action because of the fact that some of these educational agencies actually upload the necessary forms you have to fill out in relation to home schooling. Some of them even prefer your getting in touch with them and submitting your requirements online! Next, you may want to check home schooling support groups in your state and legal specialists who have put up various websites on the subject. This way, you will be able to read of firsthand experiences of people who’ve tried home schooling before, and in the long run, learn valuable tips and tricks in order to make it work for you. They even provide various suggestions on activities and teaching strategies you may want to try as you home school your child. Much of home schooling is very much feel-your-way-through, so don’t be afraid to visit these support groups and forums and ask questions. By doing so, you would be able to make sure that you are giving your child the best sort of home schooling you can provide for him or her. Moreover, you can even find out more about the post-home schooling period, which is the time when your child begins applying for university or college, from home schooled applicants who’ve gone through the usually much longer process. Home schooling requirements may never be standardized across the country. Various legislative and administrative changes are underway each day. This is where online home schooling websites may help. They can give you news updates, briefings, and summaries of various state and federal legislation on home schooling. These timely bits of information may guide you better in home schooling your child, and keep you up to date with trends and changes in rules on home schooling across your state. This is another hot topic that affects all of us who love freedom of speech. Bloggers who cover conservative political or religious issues, and anyone who is opposed to anything the current US Administration is doing should be particularly alarmed by this trend. Visit this site and find out how you can help! The last major federal telecommunications act passed in 1996, back when Google was but a fledging research project. Suffice it to say, much has changed in online commerce and content. The Internet moves quickly. Congress, however, moves slowly - as in 30k dial-up modem slow. When the House finally does hunker down, it takes a powder on one of the Net's hottest debates. That would be "network neutrality," a vague term that belies a simple concept. Proponents argue that Internet service providers (ISPs) shouldn't have a say in which Web sites surfers visit or how fast those sites load. Providers, such as SBC/AT&T, merely supply the network with which to access the Internet and must remain neutral over its speed and content. An amendment to the Communications Opportunity, Promotion and Enhancement Act delineating such a standard recently died in a House committee. That's an unfortunate failure; the Senate shouldn't hesitate to take up the matter in its own telecom bill. Bloggers have been buzzing about the need for neutrality since SBC and BellSouth executives floated the idea of a "tiered" Internet. The companies hope, for instance, to charge Yahoo! so that its site loads faster than Google's, or to make rival Net-phone firms like Vonage pay to use their broadband pipes. The first idea is akin to a gas station charging a Chevy driver more than a Honda driver. The latter is like AT&T putting static on your line when a Verizon customer calls. Neither is exactly competitive. Without neutrality, there are other foreseeable effects. An ISP that sells music could make iTunes slow to a crawl. A big-box retailer could muscle out small guys by paying to have its site more accessible. Firms that use one company for Net access but another for online conferencing could witness speed disintegrate. Most disturbing is the threat to free speech. While ISPs maintain that they won't tinker with content, it may be hard to resist. Time Warner recently purged a mass e-mail critical of AOL, and a major Canadian Internet company prevented customers from visiting the site of its employee union. That's like a paperboy ripping out pages of a newspaper. As telecoms merge and concentrate power, fewer companies will control access to the Internet. They are certainly entitled to make money. However, they want to move beyond charging subscribers and start charging Web sites simply for being online. Absent a neutrality standard, a few big companies could skew Net access beyond recognition. Some of this can be so complex, especially for those not born in the computer age, that it can be difficult to wade through. But we all understand that competition is good. If America is entering the era of Internet regulation, it would be advisable if Congress erred on the side of competition and passed "network neutrality." Go ahead and Google it. Reprinted with permission, The Peoria (Ill.) Journal Star. I have been involved in network marketing for years and have made a good deal of money, and lost a good deal of money. I have found that the most profitable opportunities usually have a start up cost that is beyond the reach of a typical one-income homeschooling family, and that "free" opportunities are free for a reason and not worth the time you would spend promoting them. The opportunities listed in the margin run the gamut expense-wise, but I wanted to take a moment and highlight a FREE program that is actually worth investigating. The company is called The Wholefood Farmacy, and the healthy products they sell are exceptional. Best of all for the homeschooling family, there is no start up cost. The 7 Principles of Life! To that end, The Wholefood Farmacy offers healthy, convenient whole food based meals & snacks, non-toxic personal care items, and a website dedicated to "self-care" and a preventative based lifestyle. All of this, combined with a simple, generous, Referral Rewards program, Free Membership, Free Websites, and "world class" customer care, combine to offer you a one-stop-shop for all things healthy and uplifting." I suppose it depends on what you consider "all things healthy and uplifting." WFF is not a Christian enterprise, and in fact, makes no statement of faith of any kind. I have found everything else they say about their website, their world class service and the quality of their offerings to be absolutely true. I think that it meshes nicely with my Christian worldview. Most people overeat for reasons other than physical hunger. But the other "hungers" that we try to satisfy with food can only be satisfied by God. Furthermore, most people don't have any idea what it feels like to be truly hungry or politely full. We eat because we think something will taste good and then stuff ourselves until we think we will burst! The idea is to retrain your body to eat only within the parameters of hunger and fullness. Within these parameters, "all foods are clean" in moderation. No more denying yourself a piece of cake, or real butter, or Alfredo sauce, or whatever. You can actually eat whatever you want. Needless to say, the multibillion-dollar weight loss/health food industry doesn't want this to catch on! But there is a catch. You have to admit that it is idolatry (!) to run to food for comfort or whatever, that only God can give. In our culture we eat when we're celebrating, we eat when we're sad, we eat after a funeral, we have potlucks at church, we eat when we're bored, angry, lonely, you name it. We should be looking to God for our every need. I had some success with the hunger and fullness part, but not with the "looking to God for your every need" part. Trying to do this on my own, I did lose some weight, but I put it all back on in just a few months. You may recognize some of these principles from the Weigh Down Workshop, which is where I first discovered the depth of my own idolatry. Food, and a number of other things, were/are idols in my life. It is all too easy to spend more time watching television, pursuing hobbies, exercising, getting on the computer, reading, compiling Creative Memories photo albums or almost anything, than it is to spend time feeding on God's Word, or spending time with Him. so they can win the Scripps-Howard spelling bee, staying up all night creating lesson plans, lamenting that they are "only" in the 92nd percentile on the Stanford Achievement Test, making sure we have covered every single subject every single day, and ferrying them back and forth to music lessons, Scouts, AWANA, dance lessons, youth group, field trips, Toastmasters, etiquette lessons, choir, soccer, Little League, and all the things we enroll them in to avoid the dreaded allegation that they are not sufficiently "socialized." Puhleeze. This is not the worldview that The Wholefood Farmacy is coming from, but I believe the two are complementary. If you click through to the home page you will find five videos that are very eye opening about the state of our nation's food supply, and some of the hidden reasons that people are eating too much. Gluttony notwithstanding, you may be surprised to discover that it is not all your fault if you are drawn to unhealthy food in unhealthy quantities. Food is big business in America and around the world, and there is a hidden agenda on the part of some of these companies to keep us eating their cheap snack foods and making them big bucks. One of the best ways to "shut off all the switches" that trigger your cravings for these fake foods is to discipline yourself to enter into a 13-day wholefood cleansing. I suppose a case could be made for the idea that The Wholefood Farmacy wants to make big bucks promoting these foods as well. But my experience with the wholefoods is that it was worth every penny. There are a number of sampler packs and ways to investigate this company without breaking the bank, and you can join for free and purchase wholesale for yourself without any monthly autoship obligations. Do you have Time to Home School? You just spent eight hours making reports, filing papers, fielding phone calls, and placating your boss at the office. So, when you get home, do you rest? There’s a dinner to prepare, stories to share with your husband, and doing homework with the kids. Such a scenario is — and will still be — typical among working mothers, who balance the countless demands of career and home 24 hours a day, 7 days a week. The problem with this is that the children are the ones who are always at the losing end. Because parents - especially mothers - who are always busy with their work, tend to take for granted that the institutional school will provide the best education for their children. Sometimes they don't realize their children are falling through the cracks, or being bullied, or are being taught subjects that are in direct opposition to their religious faith. However, in today’s changing world, some parents realize that sending their children to school is no longer necessarily the best way of providing the education that their children need. That’s why they have opted for home schooling, in order to provide the kind of learning that they want for their children, in the kind of values-laden environment they wish to promote. In home schooling, most parents devote their time and try to provide their children the best education at home. They know that they are the ones who can provide the most appropriate teaching approach for their children because they know their children best. However, it does not necessarily mean that parents have to devote more time to home schooling than they would to their other chores at home. It is true that home schooling requires time to come up with the teaching approach that your children need. It is also through a committed schedule that you can identify the methods you need to employ in order to teach your children well. But it does not mean that you have to give your whole life over to teaching your children through home schooling programs. Because home schooling uses the “one-to-one” teaching method; hence, it needs less teaching time than the typical classroom setting. You do not have to teach to the broad middle ground of a classroom, which usually leaves behind the slow ones and bores the bright ones. You can tailor the amount of material and its difficulty to the exact level of your child's ability. So, the amount of time to be allotted in home schooling will still vary depending on the many factors that may affect the progress of the teaching process. There are instances wherein the children’s learning style might affect the time requirement in home schooling. For instance, if your child is a visual learner, he may be able to grasp concepts more quickly. An auditory learner can benefit from tapes that can be played over and over without you having to be there repeating the lesson. You may require more time on the front end setting up a project or other object lesson that will engage your kinesthetic learner - and then find that he learns fastest of all and retains more of what is taught. However, if your child needs more time to grasp things that are being taught to him, then you have to devote more time in explaining to him or her the concept of the subject matter you are teaching. The good news, of course, is that you can take all the time you need without holding up the rest of the class. There are various teaching methods available for home schooling. Each has its own teaching approach. Many parents have chosen computer based curriculum or online academies to reduce the amount of preparation time and administrative tasks required. Others spend more time doing a unit study, which is a program that integrates a topic across all disciplines. There are unit studies that are already prepared for you including lesson plans, and then there are unit studies you can build yourself. They require much more preparation time on the part of the teacher, but for certain types of students they are far and away the best method, enabling far greater retention of the subject matter. If you have several children who are at different grade levels, this is another area where a unit study can help you, because you can present the same material to several children at different grade levels and use it to achieve various objectives. It is NOT true necessarily that you must spend longer hours teaching a larger group of students. The older children can solidify their knowledge of the topic by reading aloud or teaching the younger children. They can even be trusted with small administrative tasks as they become more responsible. I think it is actually easier to have several children just a few years apart than it is to have only two who are many years apart. It is taxing to try to teach a young child to read AND an older one algebra. When you have a high schooler and a preschooler you are working with completely different types of courses of study. Younger children need more teacher interaction than older children, but you can also work with them in short bursts rather than trying to make them sit for hours on end. Some young children grasp concepts quickly, others are daydreamers who need to be carefully monitored. There really is no hard and fast rule about how the age of your child affects the amount of time you need. By the time you children are older, if you have been home schooling any length of time, you have already taught them time management skills and shifted into the role of a coach who doesn't have to be sitting with them all day. It is fair to say that even a mom who works outside the home can do some home teaching with an older child, but justice will probably not be done to either work or school unless your child is a self-starter. But you CAN work and home school if you are willing to consider working at home - either via telecommuting, or having your own home business. Next time we will look at some work-at-home options. Age in Home Schooling : An Obstacle? Home schooling is a trend that few people can ignore. There has been a consistent increase in the number of children who have left the formal education system in exchange for home schooling. If you’re interested in home schooling your child, you must be wondering what it takes to begin. Many parents like you often wonder if there’s a particular age range that is most viable for home schooling, or if most local education agencies impose a compulsory age at which you can take your child out of the formal system for home schooling. More generally, perhaps you are simply wondering how age factors into home schooling. However, you’d be pleased to know that when it comes to the question of age viability or minimum age for home schooling, there is actually no such requirement. When you find it appropriate to home school your child, his or her age will determine what you have to do in order to complete the transition into home schooling. Moreover, age matters very little when it comes to home schooling. This has perhaps been one of its most esteemed and valued characteristics. Most parents who opt for home schooling are those parents who have children already enrolled in an educational institution of sorts. Regardless of what educational level or age your child is, he or she is good to go. However, because of the fact that your child has gone through some sort of schooling, you have to first consult with the educational institution. Once there, you must get your child’s records assessing clearly the educational level and subsequent attainment achieved while in the school. If your child is not yet within schooling age but you’re already planning on home schooling him or her, then there’s no other consultation you have to go through. All you have to do is follow the required procedure in your state for home schooling. That is, if your state requires being informed of the intention to home school your child, you must follow this and whatever other requirements they have set before you can go about home schooling. Otherwise, you’re free to start home schooling your child anytime. The fact that home schooling your child is not reliant on age surprises many individuals, and this may include you. While some parents move their children out of the formal learning environment to give them a more age-appropriate curriculum, home schooling in fact (and at times unknowingly) steps away from age-appropriateness to achievement-appropriateness. While children in schools may be required to follow one standardized curriculum, you may opt to either give your child more time on the required materials you wish to teach, or advance to more complex materials if your child is more than qualified to take on harder materials. As such, the system is based more on merit than on age. Moreover, it allows you to create a curriculum designed to address your child as a growing individual, instead of a statistical age group recommended to take a particular group of lessons from a generalized spectrum of disciplines. Another issue that home schooling addresses in a far more effective way is socialization. In schools, students are more or less encouraged to be in the company of peers within the same age group, give or take a year or two. This has resulted in age-based socialization. Some parents contend that this sort of limit on the social environment most accessible to their children actually hampers a more enriched interpersonal growth. While this sort of socialization is greatly emphasized with the various year levels in schools, the fact that age-based socialization is something seemingly arbitrary is quite evident. Comparing this to the home school environment with a child able to interact freely with people in his or her community without the pressures of a formal educational system, you can already see an inherent comparative advantage. It gives children greater experience and opportunities to grow at a pace dictated only by their intellectual and emotional maturity. Home schooling is perhaps not the easiest decision you’d have to make, but it’s certainly one worth considering. After all, a little work in the beginning can go a long way, especially if you want your child to learn of values and other pertinent academic matter that you wish the school discussed but didn’t. The best part is, age is no obstacle. This does not appear to have anything to do with either home business or home schooling, but how we deal with illegal immigration will have a profound impact on every other aspect of America's way of life. 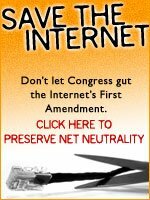 Educate yourself and your children on this important issue, and learn where your congressmen stand. Got this in the mail today - it is well worth the price, and if you are a member of a local group that gets a discounted rate, that is even better. Thanks to so many of you for recommending your friends for a trial membership with Home School Legal Defense Association. We are delighted by the response we’ve received—more than 2,000 families have taken advantage of our trial offer. As we mentioned earlier, to show our appreciation to members who have encouraged their friends to join, each week we are randomly selecting one of you to receive a free lifetime membership. So far, two families have been selected from among those who have recommended a free trial membership to a friend. HSLDA’s free trial membership offer ends May 15. So if you think of others who might want to give us a try, there’s still time to send this offer to them. Simply forward this link: https://app.hslda.org/default.asp?TC=zb71v. Again, the free trial membership is good through August 15, but the window to apply is closing soon. You, our members, are the best advertisement for the benefits of HSLDA. Without your faithful support, we could not exist. Thanks for being an advocate for HSLDA as we advocate for parental rights and homeschooling freedoms! ...and even when you're not. This is a ridiculously busy time of year, leading up not only to the Easter break, but school board elections, our anniversary, standardized testing, and last but not least, our annual squeeze by the taxman. I can't believe that it has been a whole month since I started this, and I have not posted a single "home business" kind of post, when that is, after all the topic of this blog: how one can successfully work at home AND home school, too. So I guess a turnkey home business idea would be the easiest for the busy homeschooling mom, one that can actually make you money working only a few hours a day. One that I have been promoting recently is called 1 Step System. I have been working with a partner, and we made about $6000 in the last seven or eight weeks working part time. Rather than waste a lot of time here trying to explain it again, here is a link to our very excellent review of the program entitled 1 Step System - Hype, or a Home Business Idea That Works? ADDENDUM 2008 - I am no longer promoting this program, and while the link takes you to the same place, it now talks about how 1 Step System fell short of what we hoped it would do, and suggests another program we believe is better for the average person. Home schooling is nothing if not time intensive. Depending on how obsessed you are with recreating "school at home", complete with desks and ringing bells, workbooks and recess, you may discover that you are spending all your time teaching. This could be because you are including all the extraneous things that public schools are doing other than teaching. Or it could be that you are just crushed under the adminstrative burden of planning your courses, developing lesson plans, grading papers, and monitoring whether the little darlings are actually doing the work you have assigned instead of getting in there with them and enjoying the learning experience. In the first instance, you could get back to basics. In the second, you probably need to consider one of the computer based solutions to homeschool burnout. Switched On Schoolhouse is one of the options I have used in the past to alleviate some of the stress associated with home school administration. SOS is published by Alpha Omega Publications, which has been providing award-winning K-12 programs for home education and distance learning for 28 years. Switched On Schoolhouse is a computer-based program featuring 3-D animation and cutting edge multimedia. It has been significantly improved since I used it with my children from 1999-2001. Students finish lessons by completing various questions, activities, and quizzes, all through a CD-ROM program. Most of the grading is automatic so you only have to grade subjective questions. You can your child can leave messages for one another and you may find your work cut in half with the record keeping and lesson planning features. SOS offers much flexibility so that you can customize learning to fit students’ educational needs. Students are guided through the lessons at their own pace, giving them the chance to master concepts before moving on to more challenging lessons. There are approximately 130 lessons per subject. Five core subjects — Bible, Language Arts, Math, History & Geography, and Science — are available for grades 3-12. A number of electives are also available such as Health, Spanish, and Consumer Math. The new versions enable you to customize the program to a much greater extent than before. You have a great deal of flexibility in this program. Do you need due dates, or is a more flexible approach more appropriate? If your child has a hard time with deadlines, you may want to try the more flexible approach. You can assign lessons and projects at a pace that is appropriate for your child, so that he can experience success. Both my children became discouraged by the deadlines under the old system and felt they were unreasonable, so I am glad to see that they are now optional. Switched On Schoolhouse is still reasonably priced, and the courses are filled with multimedia offerings that will captivate even the most reluctant learner. What am I doing anyway? My daughter Christina has been having a crisis of confidence in the last several months, trying to decide what she wants to be when she grows up. At 20, her options are not cast in stone. What she is doing now is not what she has to do forever. Who she is now is undoubtedly not who she will be later. Her turmoil has been an occasion for much reflection on my part. You see, I have been pondering lately if I have turned out to be what I wanted to be when I grew up. Are the things I am doing the ones I always wanted to do? What am I doing, anyway? Since 1985, I have been a homemaker. This is actually not one of the things I ever thought I wanted to be. I observed my mother's apparently boring life and wanted no part of it. I still struggle with the housekeeping part. But I now understand that what I saw as boring was actually stability and security. And so, the wife-and-mother part has brought me more fulfillment than any of the other things I have done, or probably ever will do. Since 1989, I have been a homeschooling mom. I would never have been able to have time to do that had I not had the luxury of being a homemaker. If I didn't feel strongly that I have a mandate from God to keep them home, well...let's just say that homeschooling has to be a conviction- not just one of many acceptable choices - if you expect to be able to go the distance. Gutless wonders need not apply. My grandmother used to have three things that defined her life. She would say proudly, "I'm an Indian, a Catholic, and a Democrat!" I guess at the end of the day I would have to say, "I'm a Christian, a homeschooling mom, and ..."
Internet marketing is one of the main things I keep going back to when I think about who I am and what I do. Just ask anyone who knows me. But lately I have been giving a lot of thought to whether these three things are compatible. Can one successfully mix homeschooling and operating an internet home business? Yes, I have been doing it since 1999. But the key word is SUCCESSFULLY. Have I successfully home schooled and maintained my internet business? More importantly, have I honored God in the process? This blog will record my journey toward answering these questions. Do you have a life? My daughter is a hard working kid. Just 20, she is wrapping up a photography degree and has just gotten her own apartment. I am very proud of her! But to do this, she is working 50-60 hours a week. First she works at Dunkin Donuts from 6-9 AM (yep, AM - better her than me)weekdays, and sometimes Saturday. Then she goes to her REAL job from 9:30 to 5:30. As if that weren't enough, she then treks to night classes several nights a week until 10PM or later. After all that, it's a miracle if she has time to eat, or spend time with friends, do homework, and whatever else young people do these days. I commend her for her initiative and perseverance. But what kind of life is that? I make more money than she does sitting at my computer for a few hours a day. While I am answering email, talking with friends around the world on VOIP, playing online games, checking the status of orders, or catching up on the news, I am getting paid for reading advertisements, participating in focus groups, and networking with other internet marketers. 55-60 hours? Been there, done that, outgrew the t-shirt. No, thanks--I'd rather have a life. If you are reading this, you are on your way to discovering the secret of online success. Visit eProsperity Guide to check out some of the things I am doing. Then you can have a life, too! Excuse me, my coffee and croissants are ready. See you later - I am going in the pool with a good book. Need a blog or social media marketing? Am I the only one who has a hard time blogging regularly? Follow Me at Networked Blogs! Copyright 2006-2015 by Susan Critelli. All Rights Reserved.. Simple theme. Theme images by gaffera. Powered by Blogger.